Swordfish also known as the Gladiators of the sea, are one of the most spectacular fish in the ocean. They are highly migratory and are therefore are found all over the world, they grow fast and are therefore constantly eating, they can dive more than 2000 feet and can therefore handle temperature changes of over 40 degrees in the same day. Cool facts you might say. 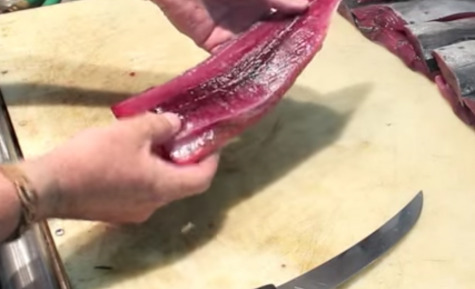 What is even more spectacular about these fish, is what it takes to catch them. Swordfish are one most challenging and rewarding fish to catch. Swordfish require highly specialized gear to land and are Lb for Lb one of the hardest fighting fish (1 hr per 100Lbs is a good rule of thumb). Just when you thought it couldn't get any better, swordfish have soft lips which means fighting a monster sword is a give and take game. We put together this article as part of a series of articles to try and demystify the gladiator of the ocean. This photo via google earth shows you the type of whole that you will be looking for when targeting daytime swords. This photo via google earth shows you the type of hilly structure you are looking for when targeting daytime swordfish. These hills can cause upwellings, and also provide good structure for bait that the swords are targeting. This photo of an underwater valley is an example of great structure for daytime swordfishing. Ridges serve as a highway for swordfish since they provide consistent food for swordfish along their migrations. Check out all of our Swordfishing Resources by clicking the image below! Talk to Cpt. Jeff Sneider for any questions on how to daytime swordfish in Louisianna. Talk to Team Swordacrazy for any questions on how to daytime swordfish off of the Florida Panhandle. Talk to Double Threat Charters for any questions on how to daytime swordfish in South Florida. Learn How To Rig Swordfish Baits- We compiled some of the webs best resources on rigging swordfish baits all into one place. 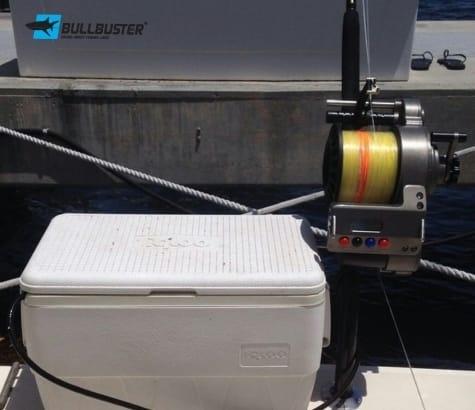 Tips & Techniques For Daytime Swordfishing In South Florida - #Bullbuster Ambassador Double Threat Charters goes in depth on daytime swordfishing. Diversify Your Bait Choices For Daytime Sword fishing- #BullbusterAmbassador Team Swordacrazy goes in depth on how switching up your baits can lead to you catching more swords.